“Athletes Now. Champions for Life.” is the mission of the football program. 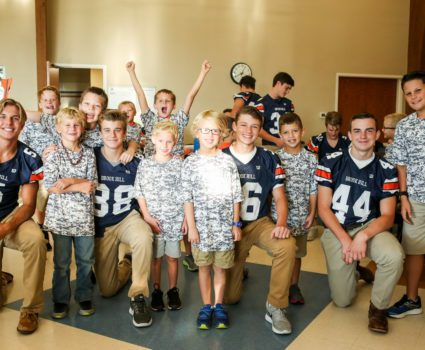 “Champions for Life” represents prepared young men as Christian leaders. The football program will be committed to instilling student’s core values of Christian development, and performance. 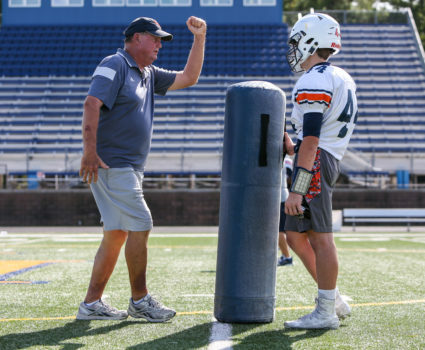 The Brook Hill School’s Football program has already established the “Champions Now” winning tradition in its short history. The Guard have won six district championships and is in their third year of competition in TAPPS Division II, District 2. 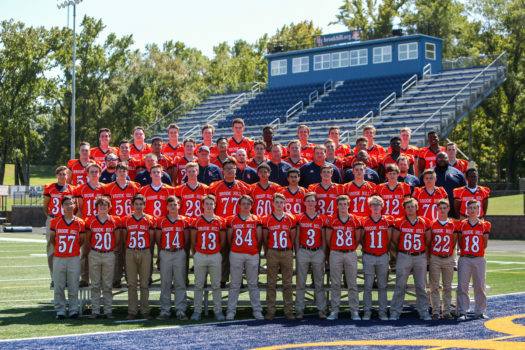 Guard Football played in three straight state championship games in 2009, 2010 and 2011, winning the program’s first football state title in 2011. 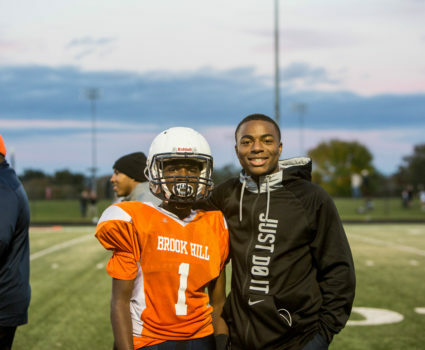 Brook Hill features 10 full-time, on-site coaches who work at The Brook Hill School. 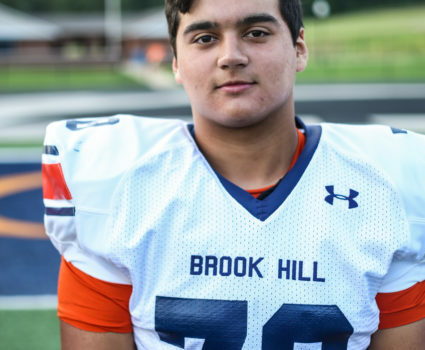 The Brook Hill Football Team is led by Coach Scott Ryle. 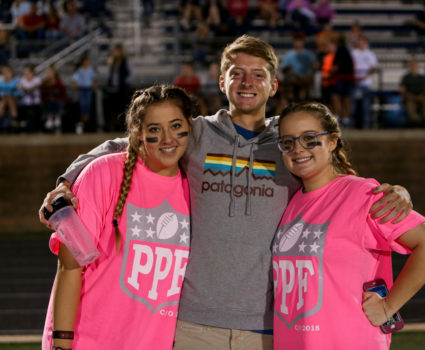 Along with many other fun Homecoming traditions, the junior girls played against the senior girls as some of our Guard Football players coached. We had an awesome time at the Warrior Bowl on Saturday as the USA took on Canada (and won 51-27). 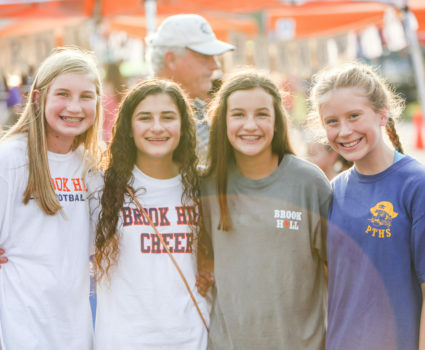 Check out all the fun we had at the tailgate party and the game! Good luck to our Guard Football team as they head to Grapeland tonight for their first game of the season! Here are some images from practice this week. 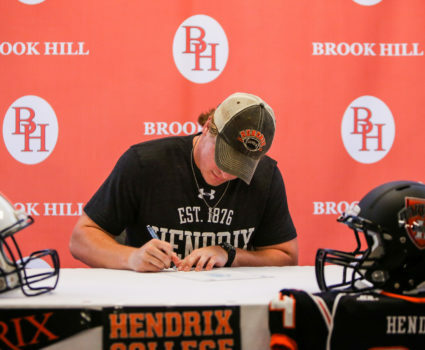 Brooks Parham signed to play football at Hendrix next year! We are so proud of Brooks and the young man he is becoming. 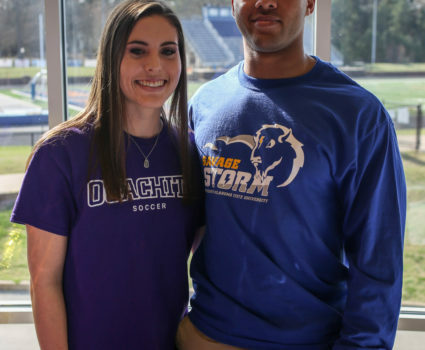 He has shown leadership on the field and in the classroom.